The Road Safety Authority (RSA) have announced there will be a change in the identification requirements for any person applying to sit the Driver Theory Test from the 1st of June 2017. There will also be new questions added to the test for anyone sitting the Driver Theory Test on or after the 5th of July. From June onwards, customers will be asked to confirm that they possess a Public Services Card at the time of booking the theory test. In order to successfully book a theory test you will need to provide the 12-digit Card Number from the rear of their Public Services Card. Customers will need to ensure that the spelling of the name in which they book their test matches exactly the spelling of their name on the card. Theory tests can be taken at 42 test centre locations around the country as part of the Road Safety Authority’s driver testing and licensing process. 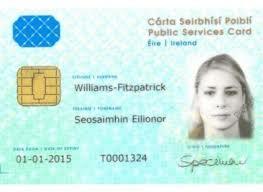 The Public Services Card will also be the only form or ID accepted by test centres. The card will be used to verify name, PPS number and identity of the person attending for the test. Failure to produce the card at the test centre for a booked appointment will mean you will be unable to sit the test and also lose the test fee. Any queries regarding the Public Service Card should be directed to the Department of Social Protection, either through the website, by calling into a local Intreo Centre (social welfare local office) or by telephone to 1890 927 999 or 01 7043281. The Official Driver Theory Test revision material (Books and CD ROM’s) has been updated to include some new and revised questions and will be available to purchase online and at major Irish bookstores from June 2017. The updated material only applies to anyone sitting the Driver Theory Test on or after 5th July 2017. The number of questions to be answered will remain at 40.